Cultural wounds bleed art. From the Bayeux Tapestry to the War Poets to the memorial pools sunk into the footprints of World Trade Centre, social upheaval, conflict and disaster have long been partially processed through creative expression. Clearly film has been a part of this, perhaps most significantly in the US with Vietnam, and now American cinema is responding to the banking crisis in the same way. Some movies like Margin Call, The Wolf of Wall Street and The Big Short show those at the heart of the financial collapse and others like Killing Them Softly and 99 Homes concentrate on the ordinary people suffering the loss of their homes and security..
Hell or High Water fits firmly among these last few movies telling the story of two Texas brothers robbing banks to pay the banks so that they can keep the family ranch. Chris Pine and Ben Foster are the siblings and Jeff Bridges is the Ranger trying to catch them. It is a little like a less precise and more dusty version of Heat. The film is totally driven by its topicality though and this is both its greatest strength and its greatest weakness. It depends a lot on this relevance and time is going to steal some of its power. Imagine a version of The Untouchables were you need to still be feeling the sting of the prohibition to fully appreciate it. Well that’s what this will be in twenty years time. Still, in the current climate the circumstances of these men’s situation allow you to root for them. As the title of the film suggests they are doing absolutely whatever it takes to correct the effects of what unscrupulous financial corporations have done to their family. The pain of this is real for a lot of people right now and as the tagline of the film – Justice is not a crime – suggests, there are those that will see what these men do as fair. However righteous indignation may not come as easily once time has passed. The hands of the ‘heroes’ are not clean. At first it is possible to peg them as modern day Robin Hoods but as things step up their actions become more brutal. Chris Pine’s Toby is perhaps a victim of circumstance but Foster’s Tanner is a little more unhinged and less deserving of the audience’s sympathies. He is a little more of a typical cinema psycho. In many respects Jeff Bridge’s cop is also a bit of an archetype. He is the grizzled old timer, doggedly tracking down his prey and refusing to slow down even with scant weeks left before retirement. His methods are unorthodox and he is constantly rude to his Comanche partner. A white Stetson wearing lawman with a smart American Indian sidekick, this guy is ticking off the tropes from all kinds of genres. Bridges and writer Taylor Sheridan make him more than this though, giving him a flawed but respectable humanity. In fact the Western parallels are entirely deliberate. Despite its director David Mackenzie being British this is an American movie through and through, playing on both the country’s present and its past. It might be 2016 but with its bars, its card games, its horses, its gun fights and its lynch mob posse this is absolutely a classic cowboy film. 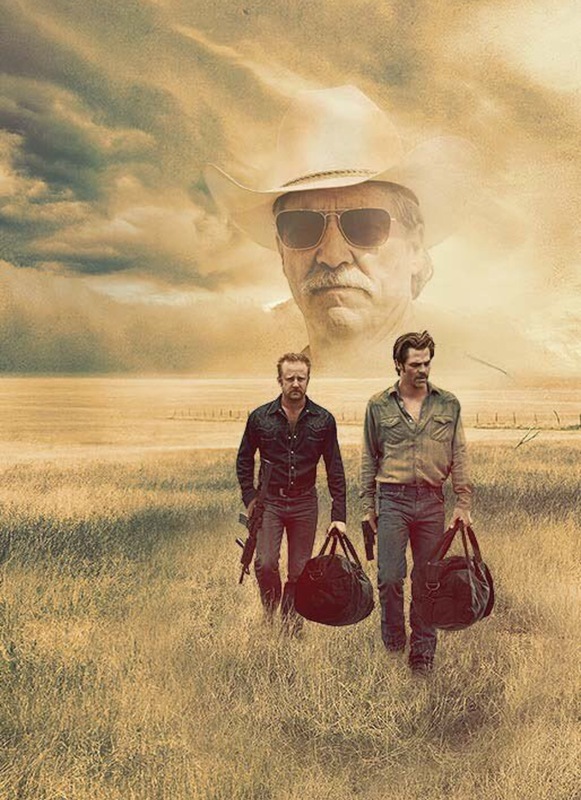 Irrelevant then of how it may be seen in the future, Hell or High Water is a very good movie to see now. It is compelling, it has some strong performances and interesting things to say about the nation it both loves and bemoans. Hell or High Water is largely centred around men. There isn’t really a female lead although there are women in the lives of the protagonists and they are portrayed realistically and appropriately. Hell or High Water is rated 15 and initially this seems to be because of the swearing but as the robberies escalate there is some realistic violence too.